It will be our great honor to invite you to visit our booth. 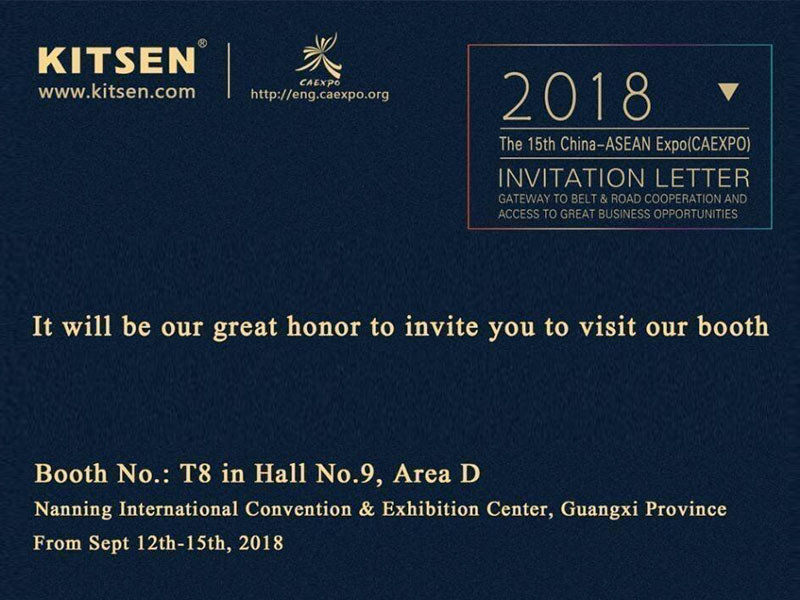 The China-ASEAN Expo (CAEXPO) is co-sponsored by department of commerce or industry and trade of China and the 10 ASEAN member states as well as the ASEAN Secretariat, and is organized by the People’s Government of Guangxi Zhuang Autonomous Region. Having been successfully concluded for 14 sessions so far, the CAEXPO has grown into an event of special international influence and plays an important role in promoting the China-ASEAN friendly cooperation and building the 21st Century Maritime Silk Road.The 15th CAEXPO will see more high-tech products been showcased and more promotion and business matching events for mobilizing and supporting Chinese leading enterprises to invest in ASEAN countries.